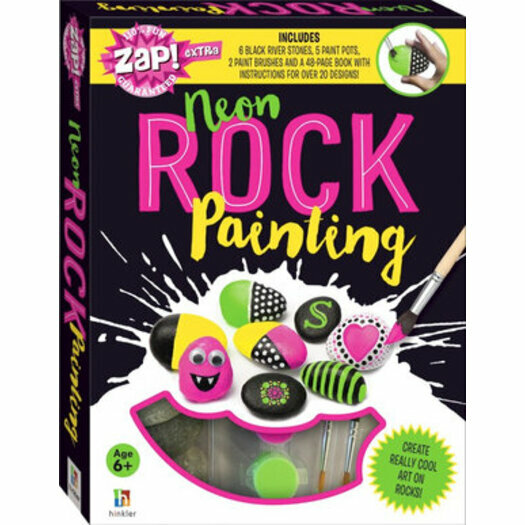 With this kit you will soon be an expert in neon colour combinations and rock painting. Just follow the step-by-step instructions and you will become a rock artist of the highest order. This kit contains a 48 page book with easy to follow step-by-step instructions as well as 6 river stones 5 paints and 2 paintbrushes. Collect all the fabulous Zap craft titles.